The magical enchantment of Venice continues to attract romantic dreamers from all over the world. 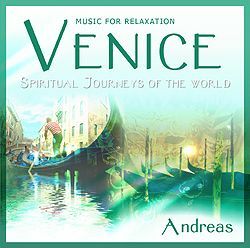 Andreas takes us on a musical journey down romantic narrow canals where quiet waters lap against the sides of buildings and reflections shimmer from sunrise to sunset. Venician gondoliers wind their way through a water labyrinth into great historical buildings, piazzas and fountains.